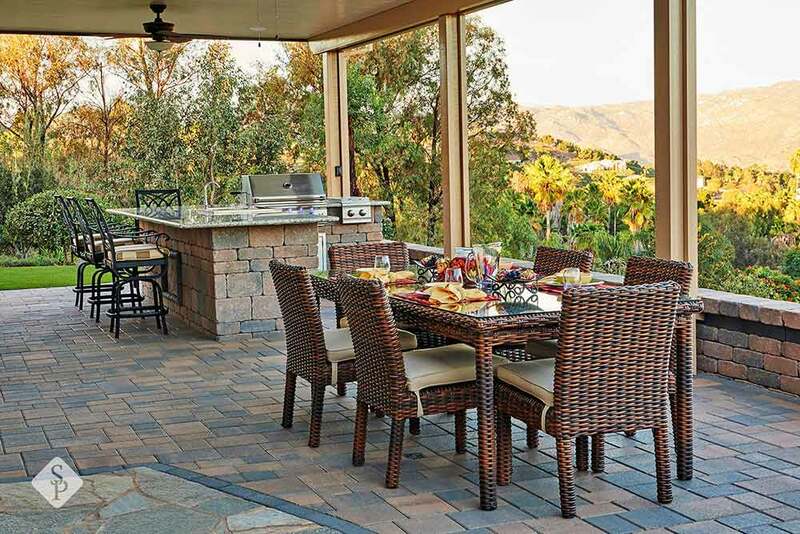 Having an outdoor kitchen installed is a great way to add to your living space and help you get more use out of your patio. 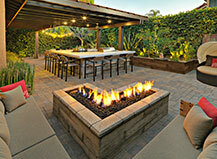 We’ll create a custom design that includes everything you need for an ideal al fresco cooking and eating experience. 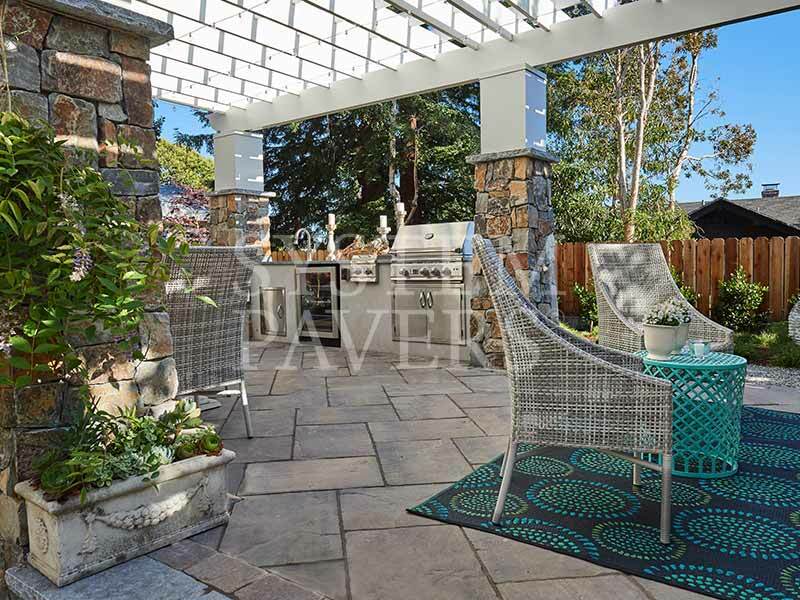 Entertaining outdoors is a hassle when you have to carry endless dishes back and forth between the kitchen and the party. 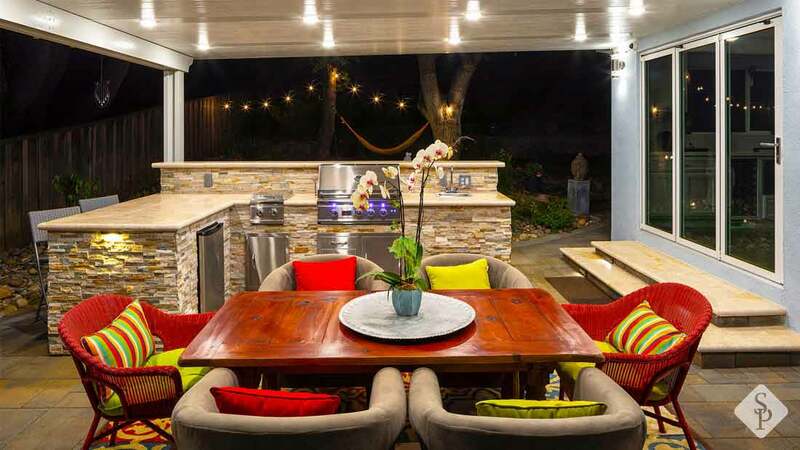 With an outdoor kitchen, you can cook for your guests right in the thick of the party without having to miss out on any of the fun. 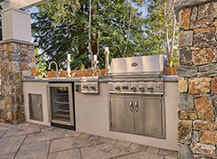 An outdoor kitchen can be anything you want it to be. 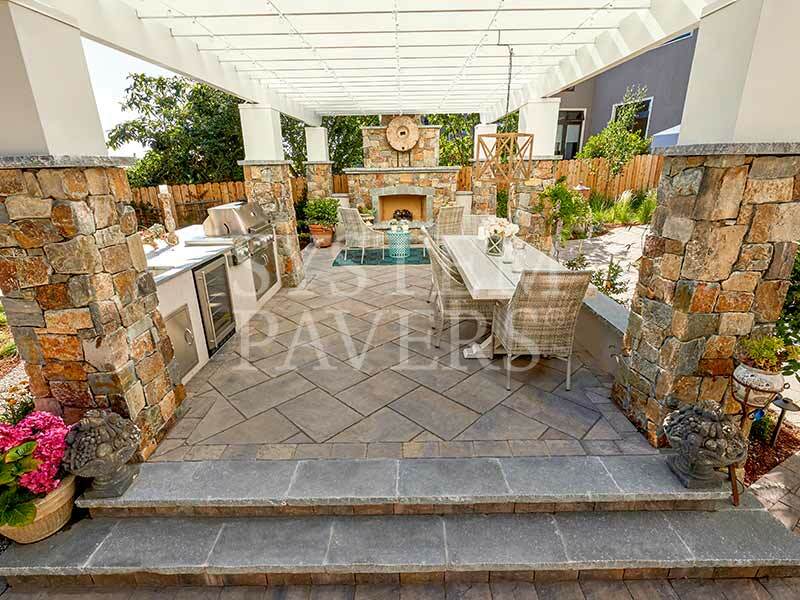 From custom paver designs and bar seating to marble and granite countertops, your outdoor kitchen will be designed around your personal style and desired outdoor cooking and dining preferences. We never install pre-fabricated designs. 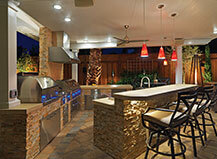 Instead, we work directly with you to determine what your dream outdoor kitchen should look like. Are you a cooking connoisseur? 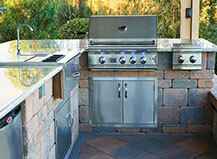 We can include a sear burner and brick oven so you can whip up culinary masterpieces. 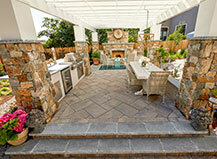 Is your outdoor kitchen going to cater to parties and events? Maybe you’d like a bar, as well as a kegerator and wine fridge to keep drinks cold. 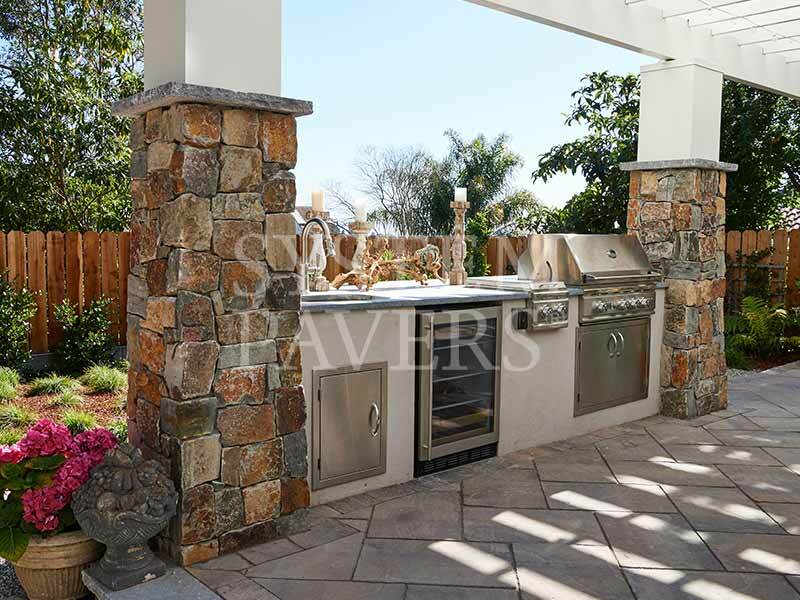 In addition to customizing the features of your outdoor kitchen to your exact needs, we’ll also create a gorgeous design entirely unique to you. 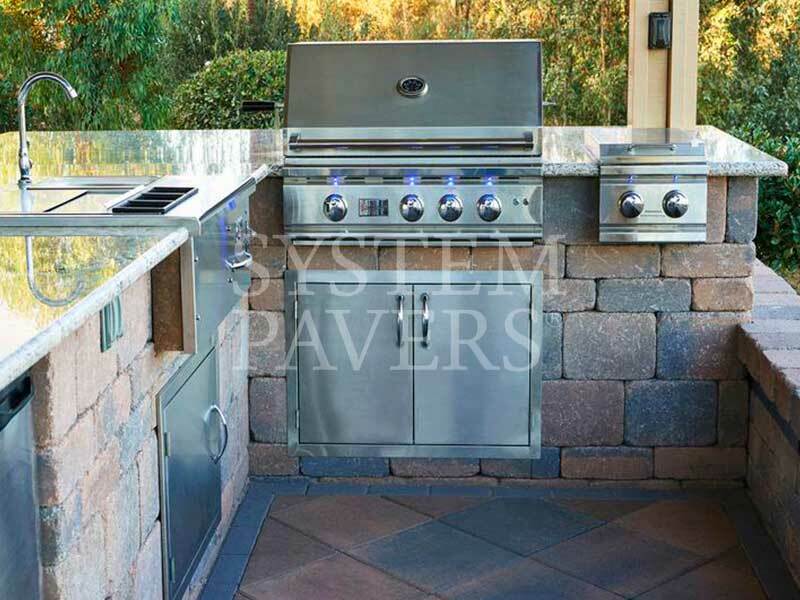 With System Pavers, your outdoor kitchen will be a beautiful and functional addition to your outdoor space. 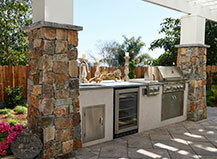 Your outdoor kitchen will be entirely one-of-a-kind and custom-designed to meet your specific needs. 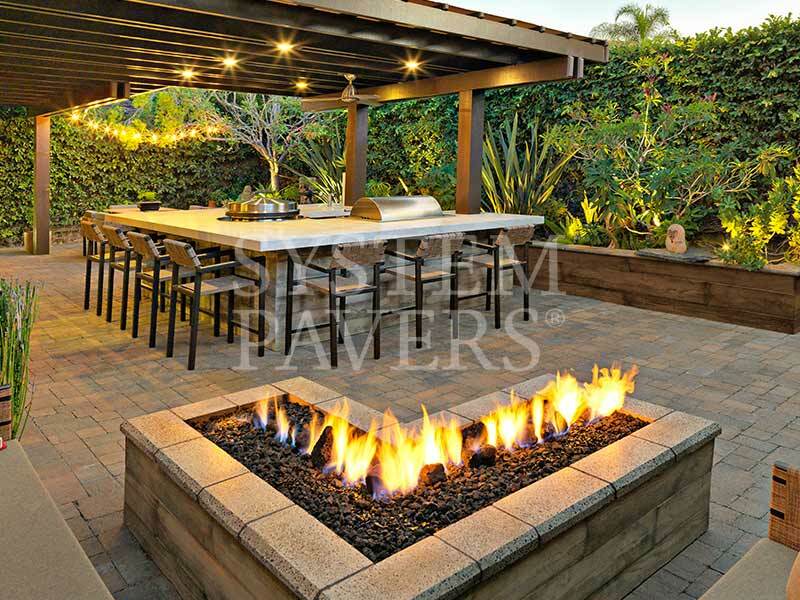 We offer a wide selection of options, including islands, grills, pergolas, bars, and lighting, any of which can be incorporated into your new cooking space. 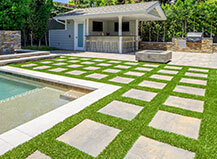 Our design team will take the time to learn about your desired lifestyle so that we can create a space that has all the elements you need to enjoy your outdoor kitchen to the fullest. 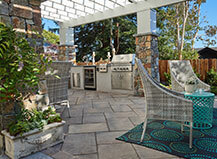 Our outdoor kitchens consist of much more than just a grill. We design custom countertops and islands so that you have all of the space you need for stirring, chopping, and prepping. 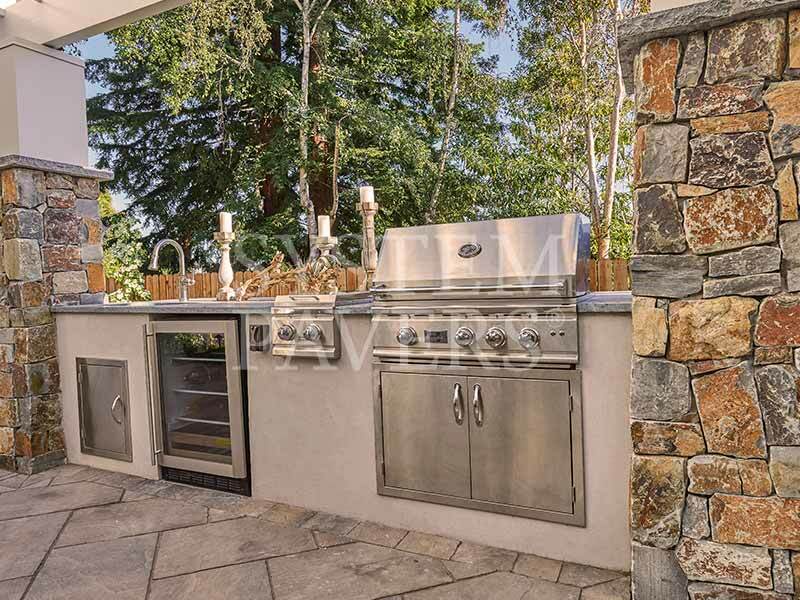 We can include any style grill in your outdoor kitchen, whether you’d prefer something small or you want the biggest grill on the block. Homeowners looking to create a culinary masterpiece can talk with a designer about incorporating a hibachi, Evo, or egg grill to maximize on grilling space. 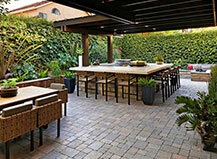 A pergola can be used to define the space around your outdoor kitchen while also sheltering it from the harsh sun. 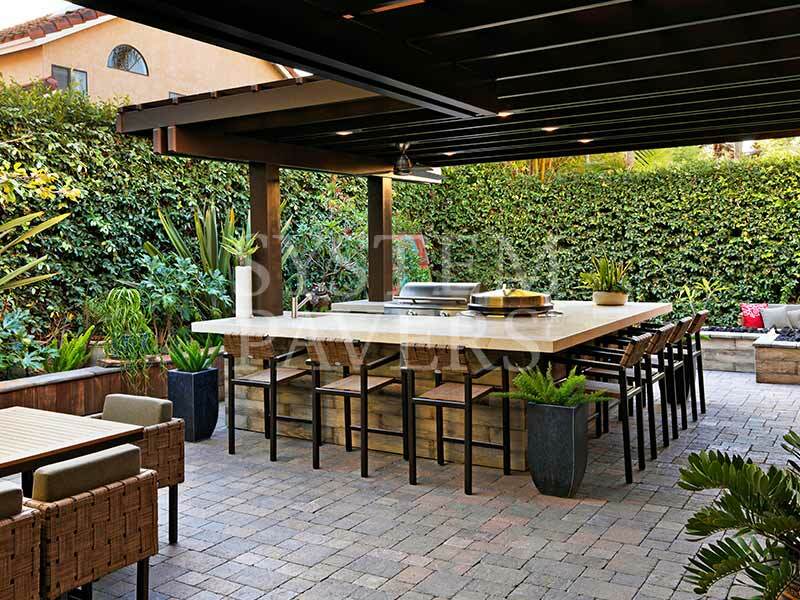 We can build a custom pergola to cover the exact dimensions of your outdoor kitchen so that you can enjoy a comfortable cooking experience. We can even include lighting and a ceiling fan to help keep your cooking space cool and bright. 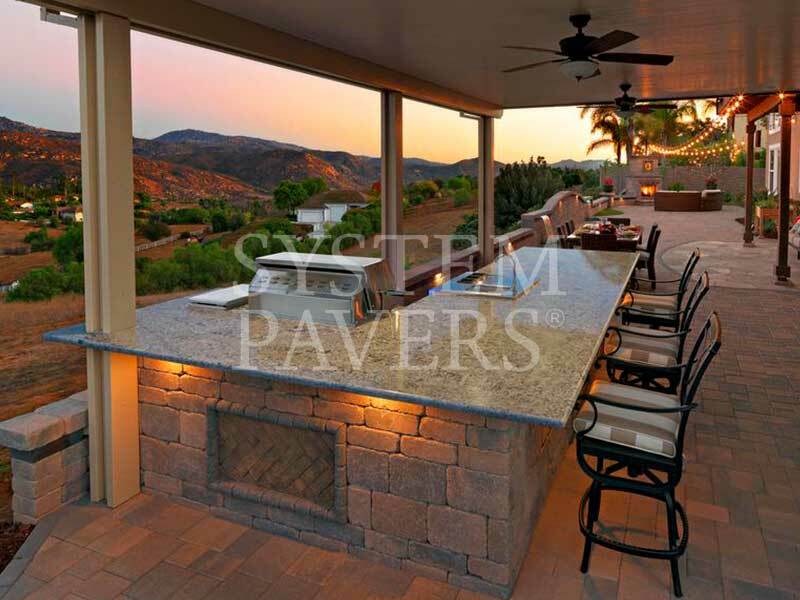 An outdoor bar is essential if you love to throw parties and entertain your friends. This way, you can craft cocktails and store drinks outside so your guests can easily get refills without having to go inside. 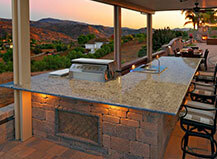 We can also include a kegerator, a wine fridge, a bar top, and stools to complete your outdoor bar. 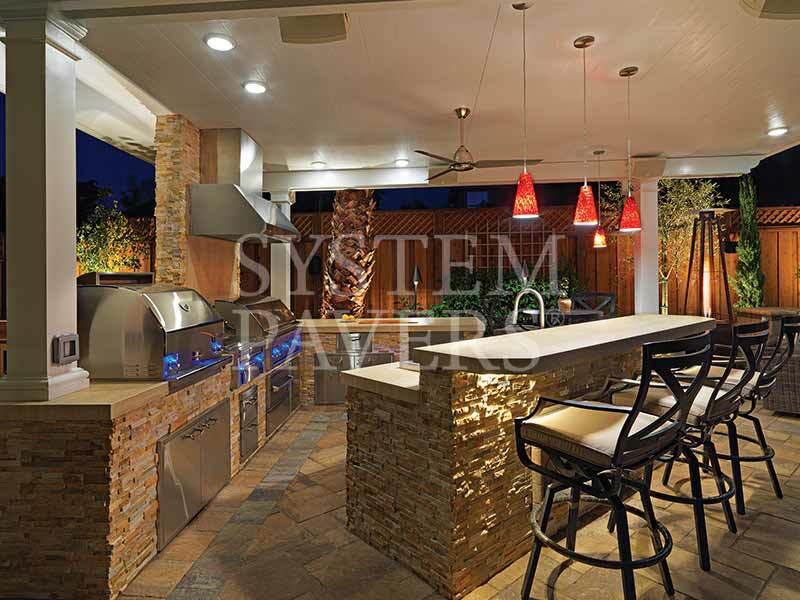 Illuminate your outdoor kitchen with custom LED lighting so that cooking and dining can continue well into the evening. 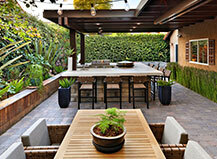 We can tuck lights away discreetly or hang beautiful fixtures to add to the ambiance. 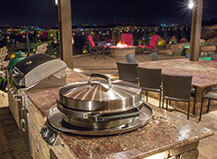 The warm glow will set the mood for your next event and help you see while you prep meals after the sun’s gone down. 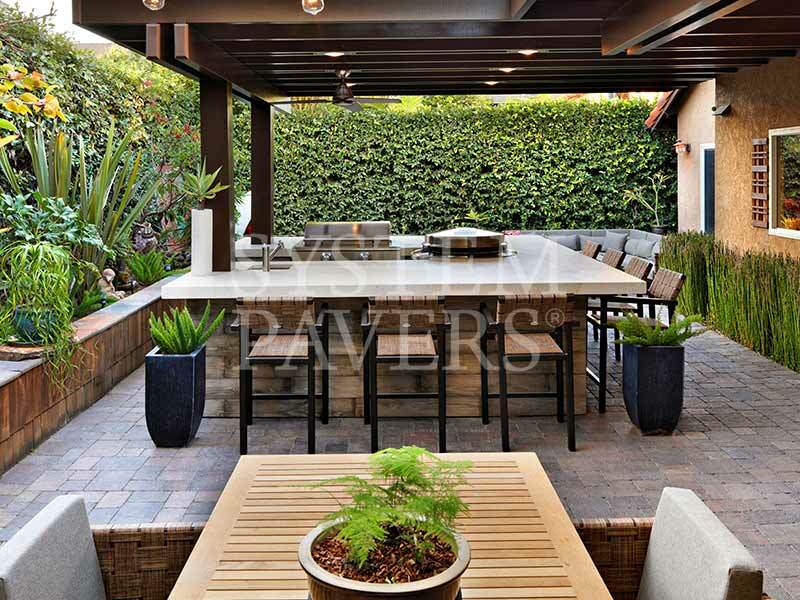 Maximize your outdoor space and enjoy entertaining in a different setting this holiday season.